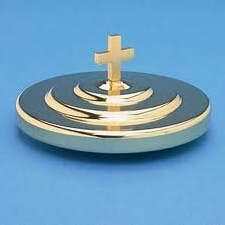 Communion Tray Base for your stack of communion trays. 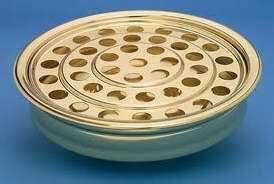 Base diameter 12 3/4″. 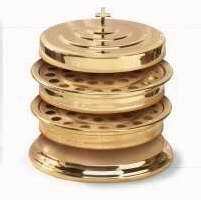 Description: Communion Tray Base for your stack of communion trays. Base diameter 12 3/4″. Brasstone Aluminum has a permanent, polished finish due to an exclusive anodizing process. It never requires polishing and the beautiful finish matches other brass appointments.